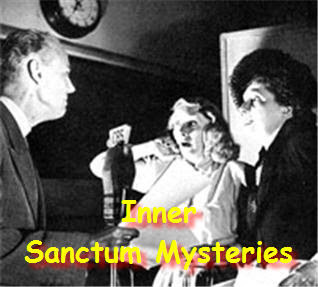 Inner Sanctum Mysteries was a popular old-time radio program that aired from January 7, 1941 to October 5, 1952. Created by Himan Brown, the anthology series featured stories of mystery, terror and suspense. The tongue-in-cheek introductions were in sharp contrast to shows like Suspense and The Whistler. A total of 526 episodes are known to have been produced. Taking its name from a popular series of mystery novels, Inner Sanctum Mysteries debuted over NBC’s Blue Network in January 1941. Inner Sanctum Mysteries featured one of the most memorable and atmospheric openings in radio history: an organist hit a dissonant chord, a doorknob turned and the famous “creaking door” slowly began to open. Every week, Inner Sanctum Mysteries told stories of ghosts, murderers and lunatics. Produced in New York, the cast usually consisted of veteran radio actors, with occasional guest appearances by such Hollywood stars Boris Karloff, Peter Lorre and Claude Rains. What made Inner Sanctum Mysteries unique among radio horror shows was its host, a slightly-sinister sounding man originally known as “Raymond.” The host had a droll sense of humor and an appetite for ghoulish puns, and his influence can be seen among horror hosts everywhere, from the Crypt-Keeper to Elvira. Raymond Edward Johnson was the show’s host until 1945; Paul McGrath took over the role until the show left the air in 1952. Producer Hiram Brown would utilize the creaking door again in the 1970s, when he produced and directed The CBS Radio Mystery Theater. 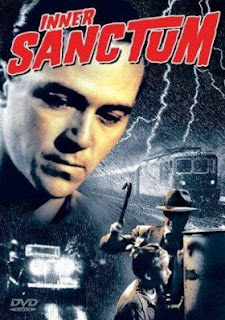 Inner Sanctum (1948) is a stand-alone film based on the radio series of the same name in which a fortune teller foresees danger for a young girl. MediaFire says zip file is temporarily unavailable, and the reason is "no resources" of some kind.